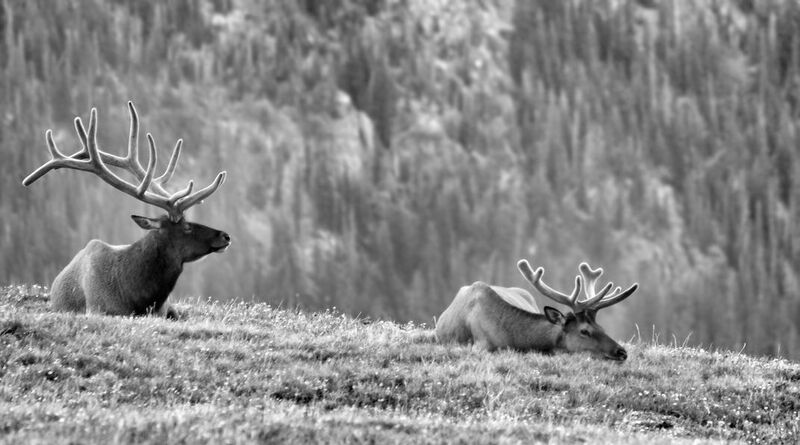 Two bull elk resting at the summit of Trail Ridge Road inside Rocky Mountain National Park. You can see there is the older bull who seems confident and mature; then there is the younger more immature bull. Date Uploaded: July 11, 2015, 12:28 p.m.